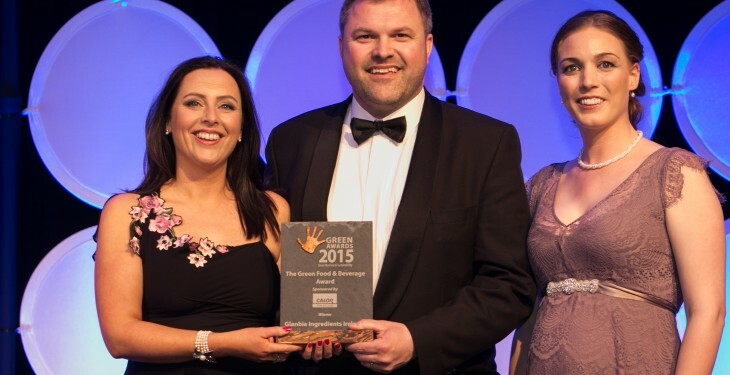 Glanbia Ingredients Ireland has been awarded the ‘Green Food & Beverage Award’ at the 2015 Green Awards. The company recently completed a €235m infrastructure investment programme in preparation for the removal of EU milk quotas. The award is open to food and beverage producers from across Ireland who can demonstrate commitment, innovation and action in evolving Irish food production toward sustainability. Recycling and waste minimisation, carbon reductions and water quality and usage were among the categories for consideration by the judging panel. Jim Bergin, CEO, Glanbia Ingredients Ireland, said that sustainability is at the core of their business model. 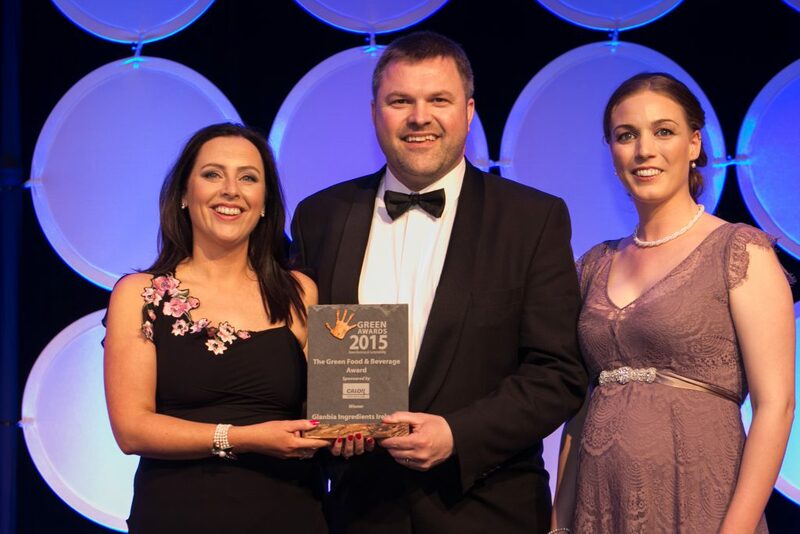 “Glanbia Ingredients Ireland has always prioritised energy and environmental management in line with best practice to improve competitiveness and minimise environmental impact. “We export 85% of what we produce to recognised brands around the world. Our achievements help to support our customers’ goals in reducing the overall carbon footprint of their brands and this is a very important differentiator in the market place,” he said. Audrey O’Shea, Sustainability Manager with Glanbia Ingredients Ireland, said that the company’s vision as a sustainability leader is to be a global reference point for best practice in dairy sustainability. “Right from the ground up, all of our operations are mapped against our Sustainability Charter and we continue to work hard to meet and exceed our ambitious targets,” she said. Other finalists this year included Dairygold, Manor Farm and Coca Cola.